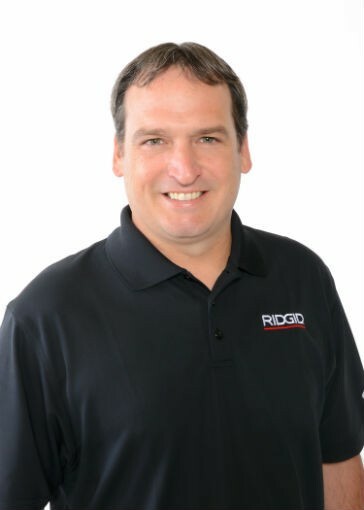 Tim Dunphy has been named Marketing Director of Underground Technologies for RIDGID. In this role, Dunphy will manage new product development, partner relations and new business opportunities for the RIDGID line of diagnostics, inspection, locating and drain cleaning products. Dunphy is an accomplished marketing leader with global expertise in market and brand strategy, new product development, omni-channel marketing communications, and market research. He has more than 20 years of experience in consumer-packaged goods and durables marketing. His proven ability to develop and implement marketing strategies, combined with his knowledge of the tool industry, make him an asset to the RIDGID team. "Tim is a proven leader who brings a wealth of knowledge and experience to our Underground Technologies team," said Wyatt Kilmartin, vice president and general manager, global underground technologies, RIDGID. "RIDGID continues to push the envelope in the diagnostics, inspection, locating and drain cleaning categories and Tim is well-suited to drive our next-level innovations." Dunphy holds a Bachelor of Science degree in Marketing from the University of Florida. Vactor Manufacturing, Inc., a subsidiary of Federal Signal Corporation and a manufacturer of sewer and catch basin cleaners, jetters and industrial vacuum loaders showcased tandem- and single-axle configurations of the Vactor 2100i combination sewer cleaner at Federal Signal Environmental Solutions Group's exhibit in Indianapolis at WWETT 2019 (Water & Wastewater Equipment, Treatment & Transport Show). Vactor Manufacturing, Inc. has announced plans to expand its Streator, IL manufacturing facility. The project is expected to increase Vactor's production capacity and add up to 90 additional jobs. Westech Vac Systems, a provider of rugged, high-quality vacuum truck-mounted solutions, has showcased the Westech Code Combo Vac unit at Federal Signal Environmental Solution Group's exhibit in Indianapolis at WWETT 2019 (Water & Wastewater Equipment, Treatment & Transport Show). Mack Trucks will demonstrate its focus on application excellence with two specialized Mack Granite models on display during the 2019 Waste & Wastewater Equipment, Treatment & Transport Show Feb. 21-24 at the Indiana Convention Center, Indianapolis. A new chapter in the life of an established company is beginning for Thompson Pump & Mfg. Co. following the sale of their rental assets and related operations to the Fluid Solutions Group of industry leader United Rentals. Having divested itself from the direct rental business, Thompson Pump plans to invest in and grow its pump manufacturing operations - the core business that has made Thompson Pump an iconic brand in the industry. GSSI, the world's leading manufacturer of ground penetrating radar (GPR) equipment, is pleased to announce the hiring of Adam Mercer as Application Specialist, responsible for British Columbia, Alberta and Saskatchewan, Canada. Jan Kesik has helped to develop the Canadian territory for the past five years and will continue to serve Eastern Canada. Kesik states, "I'm thrilled to have Adam join the Canadian sales team. I'm confident that Adam's wealth of experience in a variety of industries and geophysical roles will help GSSI continue to lead the GPR industry." The Toro Company will acquire privately-held Charles Machine Works, Inc., the parent company of Ditch Witch and several other leading brands in the underground construction market. The purchase price is $700 million in cash subject to certain adjustments set forth in the definitive agreement. The transaction is subject to regulatory approvals and other customary closing conditions and is currently anticipated to close before the end of Toro's fiscal 2019 third quarter. The North American Society for Trenchless Technology Canadian Chapters (NASTT-NW, NASTT-GLSA and NASTT-BC) are excited to bring the first annual No-Dig North Show to the Calgary Telus Convention Centre in Calgary, Alberta, Canada on October 28-30, 2019. Vactor Manufacturing, Inc., a subsidiary of Federal Signal Corporation, has announced the introduction of TRUVAC, a brand of premium vacuum excavator trucks designed specifically to satisfy the safe-digging requirements of businesses or organizations that locate and verify underground utility lines and pipes. The TRUVAC brand will focus on vacuum excavation, while the Vactor brand will continue to focus on equipment solutions for cleaning and maintaining sewers and catch basins. Radius HDD and American Augers, both Charles Machine Works Companies, have announced a partnership that will allow Radius HDD to warehouse American Augers sections and cutter heads in its Weatherford, Texas, facility. The move is in response to the tremendous amount of underground construction work being done in the Lone Star State. The Ontario Sewer and Watermain Construction Association (OSWCA) applauds the Ford Government's action to make bidding on publicly-funded construction contracts open to all qualified companies. For too long, some very competent contractors have been shut out of publicly-funded project work in their local communities. The government's action today will bring a much greater degree of fairness to procurement processes across the province. HammerHead Trenchless, a Charles Machine Works Company, of Lake Mills, Wisconsin, USA, and Per Aarsleff Pipe Technology, of Aarhus, Denmark, have signed a long-term, strategic partnership agreement that includes plans for HammerHead to produce and distribute the Bluelight LED Curing System for Cured-In-Place pipe (CIPP) to markets outside of Europe and Russia. Vermeer Corporation has announced its purchase of Vac-Tron Equipment, LLC, and its plans to bring the Florida-based company together with McLaughlin Group, Inc. which was purchased by Vermeer in 2017. This acquisition and integration of the two companies builds on the Vermeer strategy to provide a comprehensive suite of vacuum excavation technology, equipment, training and support to the growing underground utility and soft dig markets. The first class of contractors to graduate from HammerHead University, the world's most advanced trenchless technique learning centre, received manufacturer certification after three days of hands-on, guided instruction. The training facilities and curricula had been officially announced as fully operational at the Lake Mills, Wisconsin, headquarters of HammerHead Trenchless, a Charles Machine Works company, during its annual August sales meeting. The North American Society for Trenchless Technology Canadian Chapters are bringing the 2019 No-Dig North Show to Calgary, Alberta, Canada, October 28–30, 2019. During the weekend of October 20th, Sanexen Water, Inc., a member of the LOGISTEC family, successfully completed major repairs in the Lincoln Tunnel in New York City with minimal impact. When the Port Authority of New York and New Jersey (PANYNJ) began planning repairs and upgrades to Route 495 and the Lincoln Tunnel, one of the requirements was to repair two cast iron cement-encased water main sections at each end of the tunnel that supply water for fire prevention. Sanexen Water was selected for its unparalleled expertise and its innovative Aqua-Pipe trenchless technology, to repair these aging water mains while other construction work was in progress. New trenchless technology is used for the replacement or rehabilitation of existing underground infrastructure with minimal excavation and disruption to surface traffic. Cat machines, engines, generator sets and work tools will soon have a new look. Caterpillar is replacing the current "Power Edge" trade dress (Cat trademark on a black background accented with a diagonal red bar) with a fresh new graphic design called "Cat Modern Hex." The Cat Modern Hex design combines the traditional Cat trademark and product model names with a bold, three-dimensional red hexagon and grille pattern. The red color is a throwback to the graphics used on the company's very first crawler tractors in 1925. Ditch Witch, a Charles Machine Works Company, released a new JT20XP horizontal directional drill (HDD) package featuring a JT20XP drill and XP44 mixing system. The industry-first solution is the only drilling system in its class to utilize all on-board horsepower for thrust and rotation. Together, the full 118-hp solution provides operators industry-leading power and superior productivity for larger utility-installation jobs. HammerHead Trenchless, a Charles Machine Works company, has introduced a new, purpose-built trailer for cured-in-place-pipe (CIPP) applications that gives installers a uniquely versatile and efficient workstation suited to almost any job they encounter. Vertex Resource Group Ltd. is pleased to announce that it has acquired the business of a private company providing hydro-vac services to the Edmonton, Alberta region in a transaction valued at $4.3 million. This acquisition will double Vertex's hydro-vac fleet with the addition of 11 hydro-vac units servicing clients in the municipal and utility industries. The launch of the newly redesigned HammerHeadTrenchless.com website now gives customers in a wide range of industries even faster, easier access to in-depth information and resources regarding trenchless methods, products and consumables. Vacuum lifting technology offers an effective approach to moving materials on tough concrete demolition and construction, road and landscaping projects. Ditch Witch, a Charles Machine Works Company, has partnered with Tulsa-based Vacuworx to bring the benefits of vacuum lifting technology to an expanded network of underground construction contractors, landscapers, municipalities and utilities. Crosslake Fibre has announced that it has selected Hexatronic Cables & Interconnect Systems AB of Sweden to supply the high-fibre-count submarine fibre optic cable and Maritech International LTD to construct the Horizontal Directional Drilled (HDD) shore ends for its 58km submarine cable project being developed across Lake Ontario. Granite Construction Incorporated has announcedthat it has acquired LiquiForce, a privately-owned company which serves public and private sector water and wastewater customers in both Canada and the U.S. Today, LiquiForce provides a variety of underground contracting services including lateral liner rehabilitation, mainline Cured-in-Place Pipe (CIPP), project management, manhole rehabilitation, and mainline point repairs. In addition, they are recognized as a leader for their patented LiquiForce Junction Lateral Liner. Through this acquisition, we welcome more than 100 employees to the Granite team. Going forward, LiquiForce will continue to operate from offices in Kingsville, Ontario, Hamilton, Ontario, and Romulus, Michigan. The transaction is expected to be immediately accretive to Granite's 2018 earnings per share. Pella, Iowa-based Ring-O-Matic is now under new ownership. Brian Metcalf, Ring-O-Matic President and CEO, bought the company December 31. The construction equipment company specializes in the design, manufacture and customization of vacuum-excavation machinery and equipment. Ditch Witch recognized Robbin Womack of Ditch Witch of Houston with the 2017 Lowell Highfill Award – the organization's most prestigious award for salespeople worldwide. This award is presented annually to the top individual salesperson in the global Ditch Witch organization for his/her superior product knowledge and performance in promoting and marketing Ditch Witch products, jobsite solutions and services. Equipment Sales & Service Limited (ESS) has been recognized for overall business performance and sustained growth with the prestigious Canada's Best Managed Companies designation. The 2018 Best Managed program award winners are among the best-in-class of Canadian owned and managed companies with revenues over $15 million demonstrating strategy, capability and commitment to achieve sustainable growth. Having achieved the Best Managed designation for seven consecutive years, ESS joins an elite group of companies that have attained Platinum Club status. HOBAS Pipe USA a supplier of large diameter fiberglass pipe has announced that Martin Dana has joined the HOBAS management team as the new Vice President of Sales. Martin is an 18-year veteran of Northwest Pipe Company and most recently served in the capacity of Executive Vice President of Business Development and Strategy. He is a well-rounded, dynamic senior executive with functional experience in finance, operations and sales. In its latest five-year forecast, the American Rental Association (ARA) expects equipment rental industry revenue to continue to grow consistently in the United States over the next five years, resulting in total revenue of $59.6 billion in 2021. According to the ARA Rental Market Monitor™ five-year forecast updated in February, total rental revenue in the U.S. is expected to grow by 4.5 percent in 2018 to reach $51.5 billion, 5.6 percent in 2019, 5 percent in 2020 and 4.4 percent in 2021. The February forecast is identical to the previous forecast released in November 2017 for 2018, with slight upticks in the expected revenue growth rates for 2019 through 2021. Sunbelt Rentals has launched the new SunbeltRentals.com comprised of updated features and benefits designed for an easier, faster equipment rental experience. The optimization and enhancement of the site continues the company's focus on offering digital tools, such as Command Center, for customers. In July 2017, Subsite Electronics acquired the assets of R.S. Technical Services, Inc. (RST), an industry leader in pipeline inspection technologies. As of January 24, 2018, the RST brand officially becomes known as Subsite. Atlas Copco has announced Power Technique North America LLC as the new name of Construction Equipment North America LLC, effective January 1, 2018. Finding, developing and retaining tomorrow's skilled workforce is one of the most significant challenges facing manufacturers today. VMAC has announced changes to the organization of its Senior Management team, appointing former President Jim Hogan to Chief Executive Officer, and Tod Gilbert, former Executive Vice President to President. Daimler Trucks North America (DTNA) has announced that David Carson, currently president of Freightliner Custom Chassis Corporation (FCCC), has been appointed president of Western Star Trucks and chief diversity officer of DTNA. Carson succeeds Kelley Platt who has been promoted within the Daimler AG global organization to president and chief executive officer of Daimler's truck joint venture Beijing Foton Daimler Automotive Co., Ltd. (BFDA) in China. Hamilton, ON - Canadian Centre for Occupational Health and Safety (CCOHS) --- To help employers better understand the value of workplace wellness programs, the Canadian Centre for Occupational Health and Safety (CCOHS) has launched the e-course, Business Case for Workplace Wellness. With many workers in Canada spending the majority of their waking hours at work each day, employers are starting to realize the importance of offering workplace wellness programs and the positive impact they can have. If the success of an organization depends heavily on the productivity of its workers, then it makes sense to ensure that the employees have a work environment that is healthy in which they can thrive. JCB has confirmed that the Teleskid, Hydradig 110W tool carrier, 3CX Compact backhoe loader and 48Z-1 compact excavator, will be on display at the 2017 International Construction and Utility Equipment Exposition (ICUEE) in Louisville, Kentucky, from October 3-5. The company will also demonstrate its 509-45 Loadall telescopic handler with a radio remote-control work platform and preview its new 503-13 Loadall sub-compact telehandler, which will be launched in 2018.